A Thomas, JC Dietrich, JG Fleming, BO Blanton, T Asher, RA Luettich. 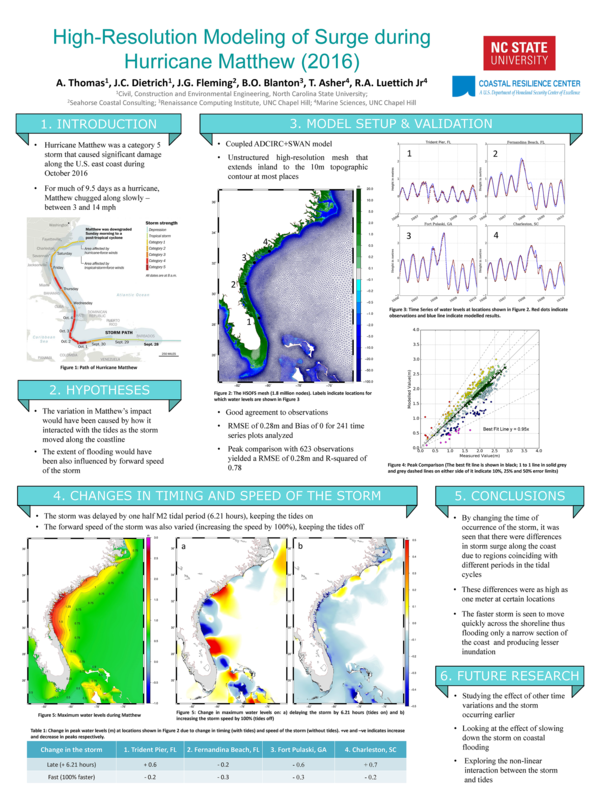 “High-Resolution Modelling of Surge during Hurricane Matthew (2016).” Graduate Student Research Symposium, North Carolina State University, 21 March 2018. 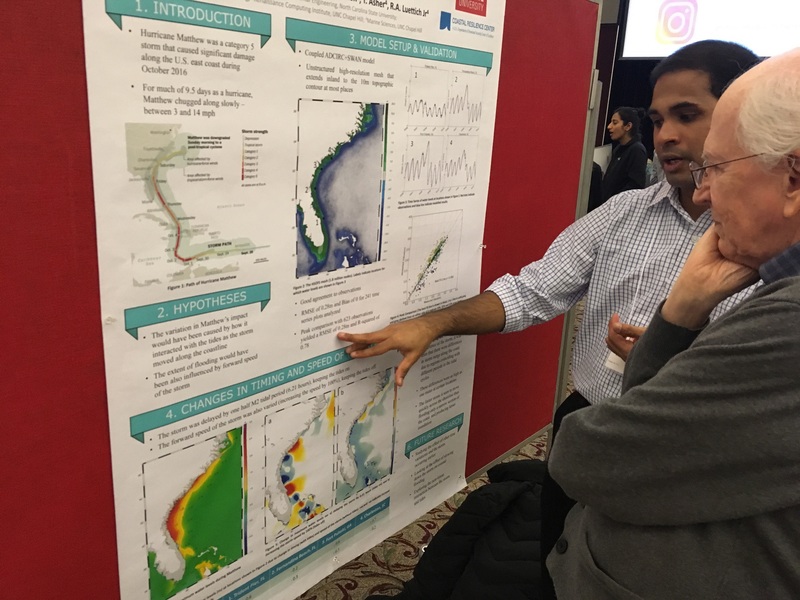 Ajimon Thomas presenting his poster to a Graduate Symposium attendee in McKimmon Center on 21 March 2017.